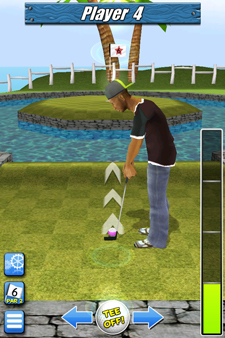 My Golf 3D is the third game in iWares 'My 3D' series. 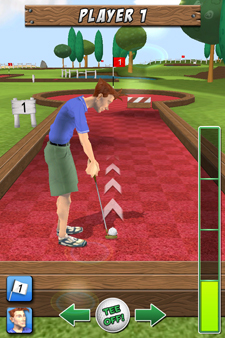 It features real time 3D physics and fully textured environments with animated obstacles and hazards. 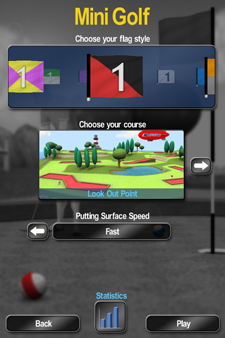 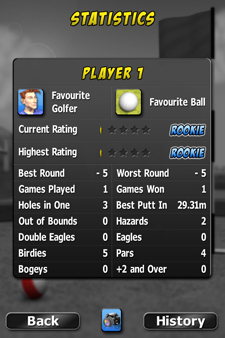 For the Android release of MyGolf3D we decided to give the interface and HUD graphics a refresh. 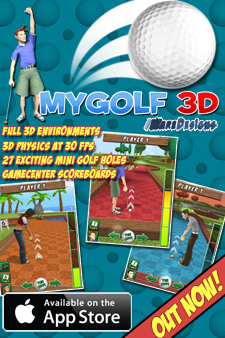 This brings MyGolf3D more into line with our other titles. 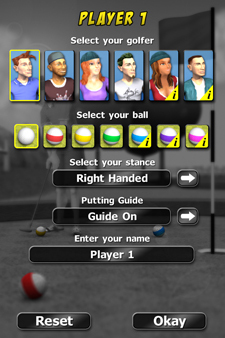 The iOS version has also been updated with the new graphics. 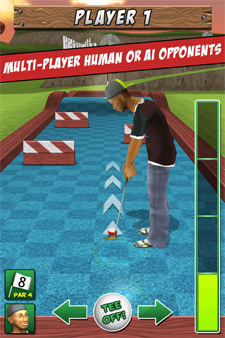 Extra music tracks were also added to both versions. 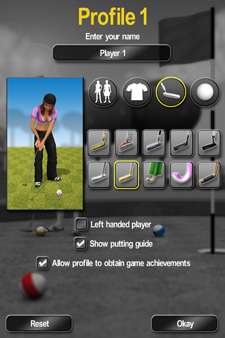 In 2015 we updated the game again across iOS, Android and OS X. 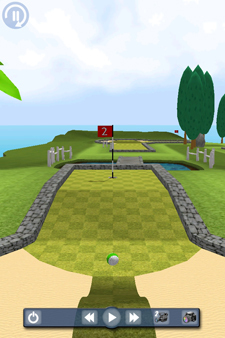 The 2015 version included an extra 9-hole course, new music tracks, new balls and a set of new putters to use, as well as extra clothes for the characters and new character and level setup screens. 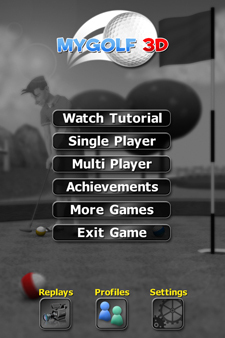 Some tweaks were also made to the HUD and the achievements system was brought into line with our other titles using the 3d trophy room. Images can be found below.